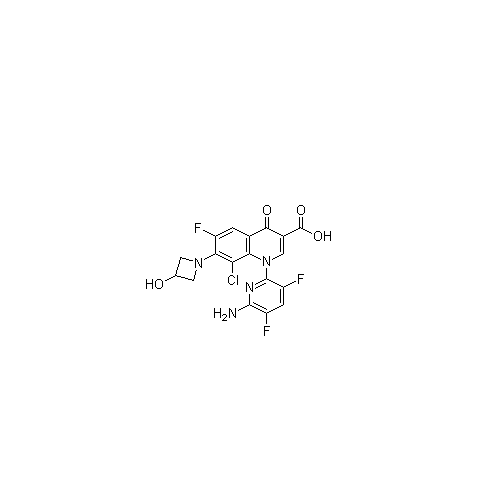 DELAFLOXACIN CAS number is 189279-58-1, research code is ABT-492, which is a new fluoroquinolone compound, its target is bacterial DNA topoisomerase, this product has excellent broad-spectrum antibacterial activity and bactericidal activity, Its antibacterial spectrum includes Staphylococcus and Streptococcus, which are sensitive and resistant to quinolones, and enterococci and anaerobic bacteria that are sensitive and resistant to vancomycin. Clinically DELAFLOXACIN CAS 189279-58-1 has been shown to be useful in the treatment of community-acquired pneumonia and skin and soft tissue infections, as well as in the treatment of respiratory and urinary tract infections. Looking for ideal Antibacterial Drug ABT 492 CAS 189279-58-1 Manufacturer & supplier ? We have a wide selection at great prices to help you get creative. 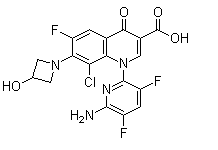 All the Pharmaceutical Raw Material Delafloxacin CAS 189279-58-1 are quality guaranteed. We are China Origin Factory of CAS Number 189279-58-1. If you have any question, please feel free to contact us.